It’s stories like these that show that it pays to be nice to entrepreneurs. 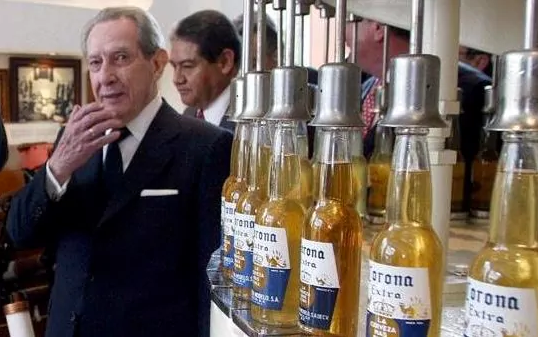 Antonino Fernández, the founder of Corona, the popular beer brand from Mexico, recently died aged 98. While his passing was sad for all those who knew him, he has a surprise in store for the 80 odd residents of the village he’d grown up in. He’d left 169 million pounds for its 80 residents. That translates to roughly 2 million pounds (Rs. 20 crore) for each villager. The move has sparked jubilant celebrations in the impoverished village. Fernández was born and brought in the village of Cerezales del Condado in northwest Spain. He was one of 13 children, and his family battled poverty when he was young. As a 14-year-old, he had to leave school because his parents could no longer afford it and needed him to work in the fields. Fernández then moved to Mexico in 1949, aged 32, after an invitation from his wife’s uncle to work for Grupo Modelo in a warehouse. He worked his way up through the ranks of the company, becoming CEO in 1971, and helped to make Corona one of the biggest beer brands in the world. He served as the brewery’s CEO from 1971 through to 1997, and remained as Chairman of the Board until 2005. Fernández had been an active philanthropist, and had been honoured for his charity work and set up schemes in both Spain and Mexico to find jobs for people with disabilities.